I’ve said before that I love color, and it’s especially fun in the warm summer months. However, black leather will always be a classic, and you don’t have to pay a lot of money to get the look — we have plenty of styles at Donna Bella that will give you that classic look of black leather without the price. 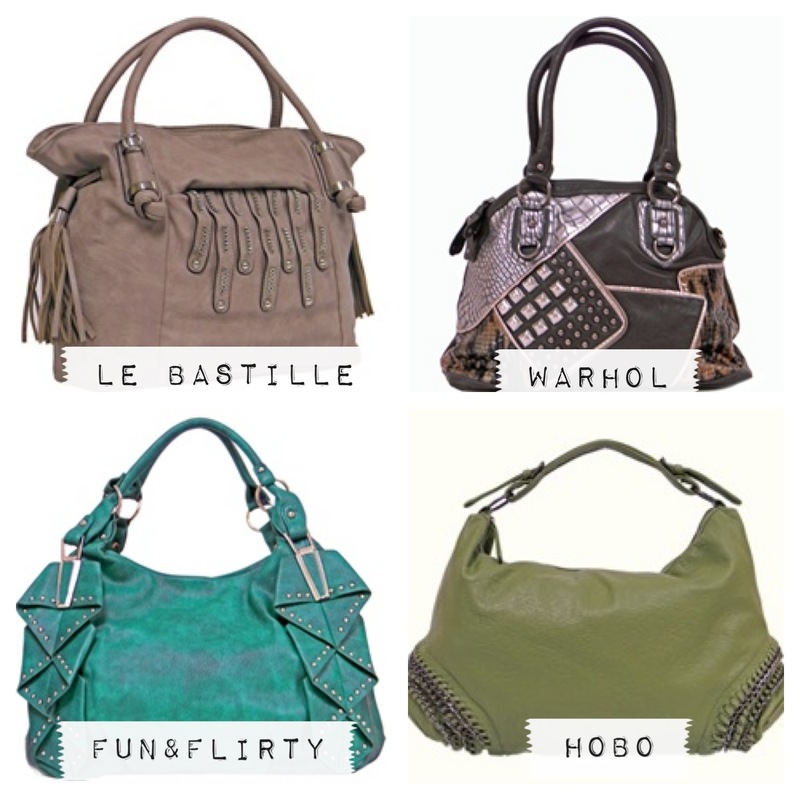 Below are just a handful of our faux leather handbags, which are affordable yet every bit as chic as the real thing! Our Alysha shoulder bag makes a bold statement, with its folded faux leather exterior and brass-toned buckle and ring details. For versatility, the straps are removable, and for organization, you’ll find a lot of room and pockets inside. At a sale price of only $39.99, it’s definitely a steal! Our Marjorie tote bag is made of soft faux leather with silver-toned hardware, including a cool ball clasp closure in front. It features interior and exterior pockets for organization, and an attachable shoulder strap for versatility. You won’t believe this beautiful handbag is on sale for only $35.99! The Gilla shoulder bag is a true beauty, with its buckle details in front, cinching side tassels and a unique vent-like design in front. It has a large interior with several pockets, and is made of pliable faux leather and silver-toned hardware. Only $77.99, you won’t find a handbag like this anywhere for the price! Loaded with details usually reserved for more expensive handbags, you’ll love our Naeemah satchel. It features pretty braided handles, and along with a large interior, it features two “hidden” pockets on the foldover flap. Made of smooth faux leather and brass-toned hardware, it’s a bargain at the sale price of only $39.99! The Brynn is a two-toned safari-style leather handbag with so much room and pockets for even the busiest woman. In cool black with tan trim, it will fit easily into your wardrobe — and it also comes with a long, detachable leather strap. Our Angelina shoulder bag is not only also made of 100% quality leather, it is large enough and features many pockets for organization. There are four color options, each with gold-toned hardware and cool braided designs on the front. The Camila is an ultra-stylish faux-leather satchel that has plenty of room for all of your stuff. It features dual woven patterns and comes in the perfect shade of gray. Carry it by the top handles or use the attachable, adjustable shoulder strap for added length. We have many more options on our site at www.donnabelladesigns.com. Who Doesn’t Love a Multi-Tasker? Isn’t it great when you can wear a handbag or other accessory in more than one way? Not only are you stretching your dollar, you’re stretching your options. Check out a few of our multitaskers below! 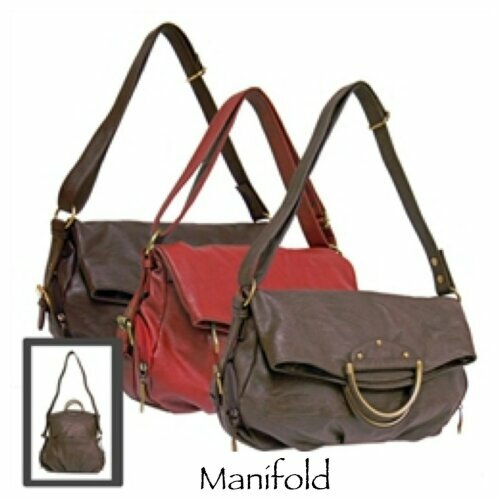 Our Manifold is a tote bag AND a shoulder bag in one. It can be worn straight up and down as a tote or folded over as a chic shoulder bag. It is made of weathered faux leather with brass-toned metal hardware, and you have your choice of three colors: taupe, red, or chocolate. 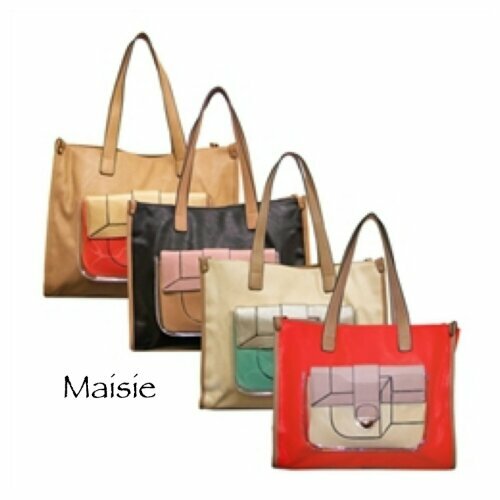 The Maisie is a fun color blocked tote bag features a clear pocket on the front containing a removable clutch. Wear them together or separate, or use the clutch on its own. It features a large interior with plenty of pockets, and comes in four colorful color choices. 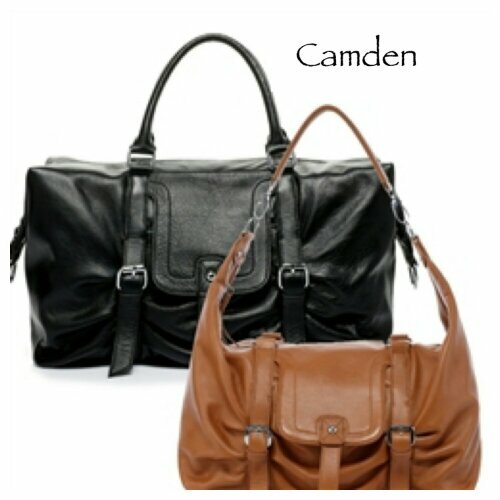 The Camden has a unique, multifunctional design with two sets of handles that change the look of the bag. Wear this 100% leather beauty as a tote using the double-rolled handles, or as a hobo style with the single handle. It also comes with plenty of room and pockets, in your choice of black or brown. Summer is the Perfect Time for a Rainbow of Colors! I used to stick to buying my handbags in neutral colors because I thought, why buy a color that won’t match all my outfits? Then I got adventurous and bought a silver bag — yes, still technically a neutral, but a bit more adventurous than black. Let me say, though, the first time I bought a pink purse was the moment I decided that there are no rules in fashion, just your own. As you can see below, at Donna Bella we carry an array of colors, so when you decide to trade your black handbag in for a livelier color, check out our selection of designer bags at affordable prices. 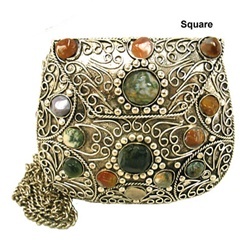 The Modern Hippie crossbody is a bohemian beauty. 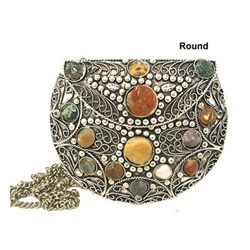 It features a flower applique in the center and gorgeous simulated hematite stones on both sides of the bag. In addition to sparkling in the sun, you’ll love its ample interior with plenty of pockets. Along with red, it also comes in two neutral colors. Our Angelique satchel is so classy, made of soft suede with a leather upper. It is a mix of beauty and convenience, with hidden pockets on the front and back — no more rummaging ruthlessly through your purse when your phone is ringing! It also comes with a leather and nylon crossbody strap for extra length and versatility. If you’re looking for a spacious tote with cool details, look no further than the Nui Nani. It features unique styling with studs, rings, and grommets throughout. It is made of the best faux leather, has plenty of organizational pockets, and it comes with a detachable shoulder strap for added convenience. The Isle is the perfect structured leather tote for the season. Its slick texture is adorned with black trim and metal studs, with a neat padlock adorning the front. It is lined with a rich purple color for some added whimsy, has plenty of pockets, and comes with an adjustable, detachable shoulder strap for another option in wearability. One of our newest additions, the Helianthe Rhoda and its bright yellow color are perfect for summer. It is made of textured faux leather and has numerous pockets to organize all your stuff. For added beauty, it features rose gold-toned metal hardware. Our Agatha shoulder bag is made of smooth faux leather, and is adorned with gorgeous braided handles and buckles. On the inside, you’ll find three large separate sections for optimal organization. It comes in three other colors as well, so if green is not your thing, check out the other options and you’ll surely find a favorite. As classic as a Chanel, the Joyce satchel is constructed with rhombus-embossed Nappa leather. Inside the zippered top you’ll find two separate compartments, each lined in rich purple satin. In addition to the beautiful chain handles, it also comes with an attachable strap to wear as a crossbody. And if you’re looking for another color, it comes in summery yellow as well. If you are on the hunt for a fun and versatile handbag, the Ricurvo Fold & Dazzle would be a perfect choice. This faux leather bag can be worn two ways, straight up like a tote (shown), or folded over as a shoulder bag. 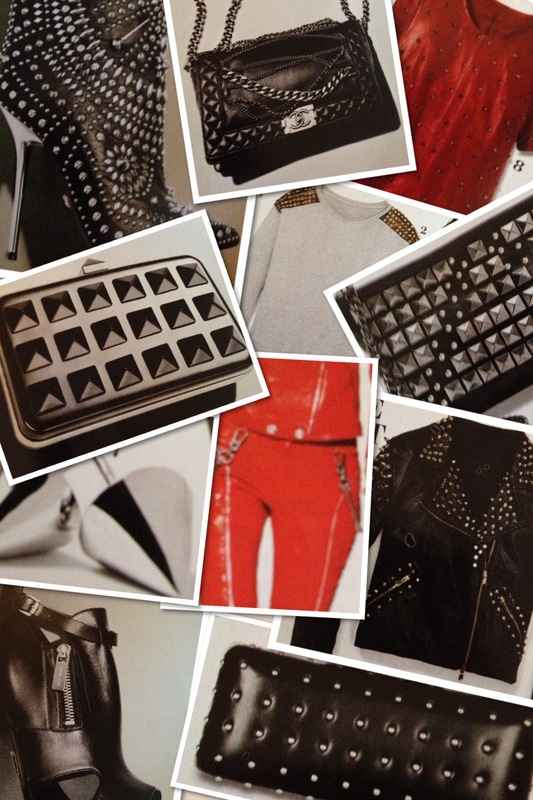 It is adorned with silver-toned studs in the corners for added pizzazz, and has plenty of pockets inside and out. For those not ready to go for color, it also comes in black. The Huntsman is a great choice for the neat freak, as it features a roomy interior with a plethora of pockets. It has a soft faux suede exterior with leather-like detailing, and a fun front pocket with a dagger-shaped closure. Like many of our handbags, it also comes with an extra strap to wear more like a crossbody. Animal Details – Do They Ever Go Out of Style? It seems that as each season passes and old styles are replaced by the new trends, I never have trouble finding handbags with animal prints and textures. Do they ever go out of style? If you are into this trend as much as I am, right now we have several affordable styles for whatever suits your needs, many of which are currently on SALE! Our Katy tote is made of croc-embossed faux leather and is just the bag to add some edge to your outfit. The bag’s interior is equally appealing, with a silky dark silver lining. Whether you go for the bold red or choose brown or black, you can’t go wrong with this roomy handbag, currently on sale for just $49.99! The Ivie tote bag is as unique as they come, featuring various animal-textured panels on the front as well as a detachable scarf that you can mix into your wardrobe. It is currently available in pink or black until we are able to re-stock the green and beige, is a must-have for summer, and a steal at its $39.99 sale price! Kill two trends with one bag with our Timeless Floral style. This shoulder bag features lightly-reflective rose designs on an alligator-embossed background. It comes with a convenient detachable shoulder strap as well as plenty of pockets for organization. Currently on sale for just $55.99, grab one of the four colors before they’re gone! Our Untekhi tote is as one-of-a-kind as its name suggests. This East-West style has faux-snakeskin detailing, decorative silver studs, and a tassel that folds over the zip-top entry. It also features a flat-footed bottom, a nice extra in the world of handbags. In addition, several pockets will keep you organized, and it is available in three colors. Oh, and it is also on sale, and at $39.99 it won’t break the bank. 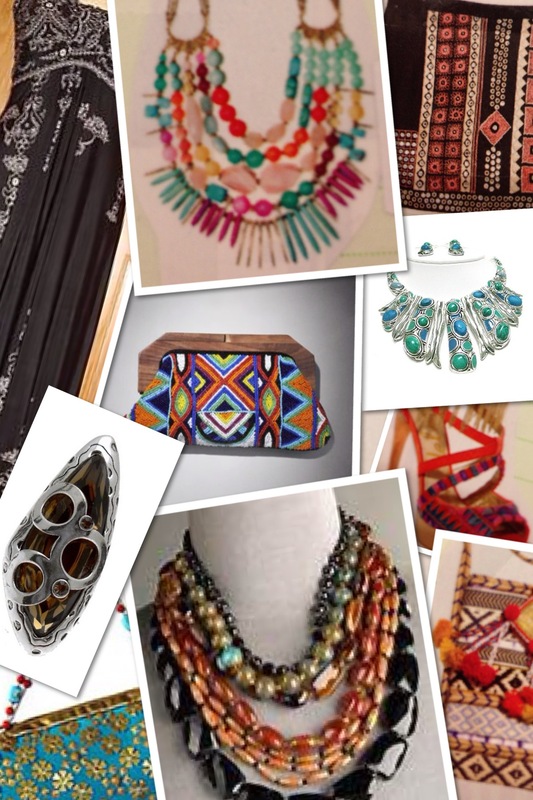 I have been seeing a lot of worldly designs lately, from jewelry to clothing to, of course, handbags. I love the beauty of something that looks like it’s handmade, or that someone from halfway around the world may have crafted it, with it being truly one-of-a-kind. That’s when I thought of these truly unique handbags we have for sale right now. This style of bag, known as a Sajai, is handcrafted by artisans in India. The natural agate stones are polished and welded onto the metal, and each bag takes about four days to complete. Since no two stones are the same, no two bags are the same, though we can all agree on their exquisite beauty! 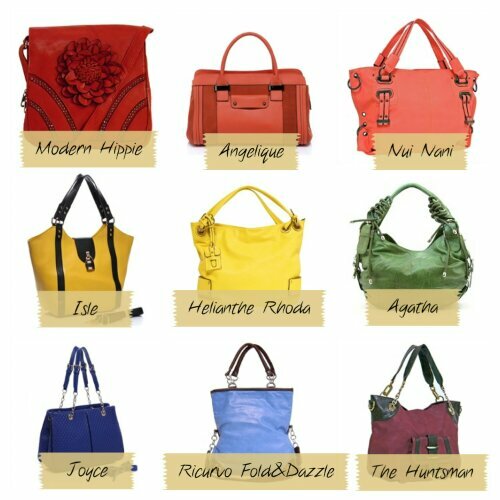 Check out the Square and Round versions of these intricately fashioned and truly incomparable handbags today! Steep or Affordable Luxury? How Did You Do? Before I reveal the answers to the little “quiz” I posted yesterday, I wanted to note that there are a LOT of designer knockoffs floating around. I see people walking around with those quilted “Chanel” bags all the time, but unless I am missing something, I don’t think the average American can afford real Chanel. Donna Bella is different in that we create our designs, rather than make knockoffs and try to pass them off as something more expensive. While some of our handbags may be inspired by or resemble a particular high-end style, we would never try to claim our handbags as anything but what they are: Donna Bella Designs. I’m sure you’ve noticed the abundance of clothing and accessories in stores lately that are adorned with studs, buckles, spikes, and more zippers than are really necessary. There’s no need to wear them all at once — though I’m sure some designers, like Balmain, make pieces so covered in these details that you can’t even see the fabric — and even subtle details, like those found on the featured purses below, will keep you on the hip side of fashion. The Le Bastille is a spacious tote with plenty of fun details. The front is adorned with a row of chains of various lengths, and cinching tassels are found on either side. It is constructed of subtly-distressed faux leather and comes in three neutral colors. The Warhol top-handle shoulder bag is truly a work of art. It features a patchwork-style front panel adorned with studs and textured alligator-like print. Pictures truly don’t do this handbag any justice! It has plenty of pockets to store all your stuff, is made of the finest synthetic materials, and comes in three popular colors. The Fun & Flirty shoulder bag is the definition of unique, with its origami-like folds adorned with rows of silver-tone studs. It comes in three colors (my favorite being Blue for the pop it adds to an outfit! ), but you can choose Brown or Black for more versatility. It is also fairly roomy, with plenty of pockets to keep you organized. The aptly-named Hobo certainly lives up to its name, but this is not your run-of-the-mill hobo bag. It features rows of chain-link detailing on each side to give it some edge, and coupled with its large size (great for people like me who carry their lives in their purses!) and green color, it will surely get you noticed! Expensive Designer or Donna Bella? 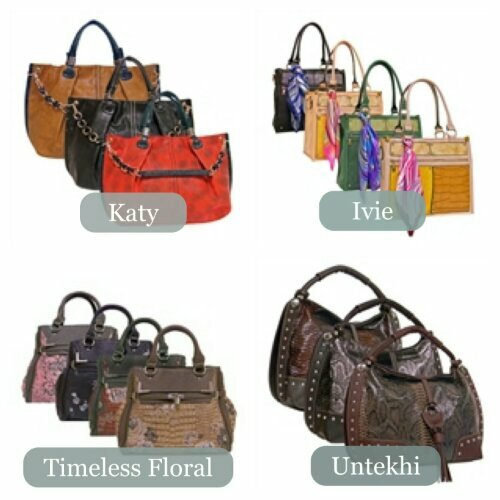 Our handbags are the definition of affordable luxury, especially when compared to a similar expensive designer handbag. Can you tell the difference? Answers, next post! Color blocking, or the “art” of pairing large swatches of complementary colors together, has been a spring trend, and it shows no signs of going away anytime soon! It’s no surprise that we have a couple of BRAND NEW handbags that feature color blocking motifs. The Maisie is a cool “two-fer” bag that features a removable clutch that detaches from the large tote for added versatility. It is available in four color options, each reflecting the color blocking trend in its own way. 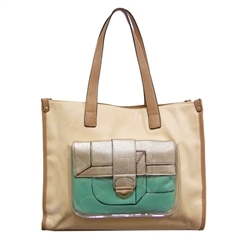 My favorite is the Beige color (shown), because it comes with a mint-green colored clutch. Which is your favorite? Another handbag that is new to our collection is the Krystal, a medium-sized satchel in five different color-blocked options. What makes the Krystal stand out from the pack? With the detachable shoulder strap, you can actually wear the interior of the bag by itself. Crazy, huh? Check it out!